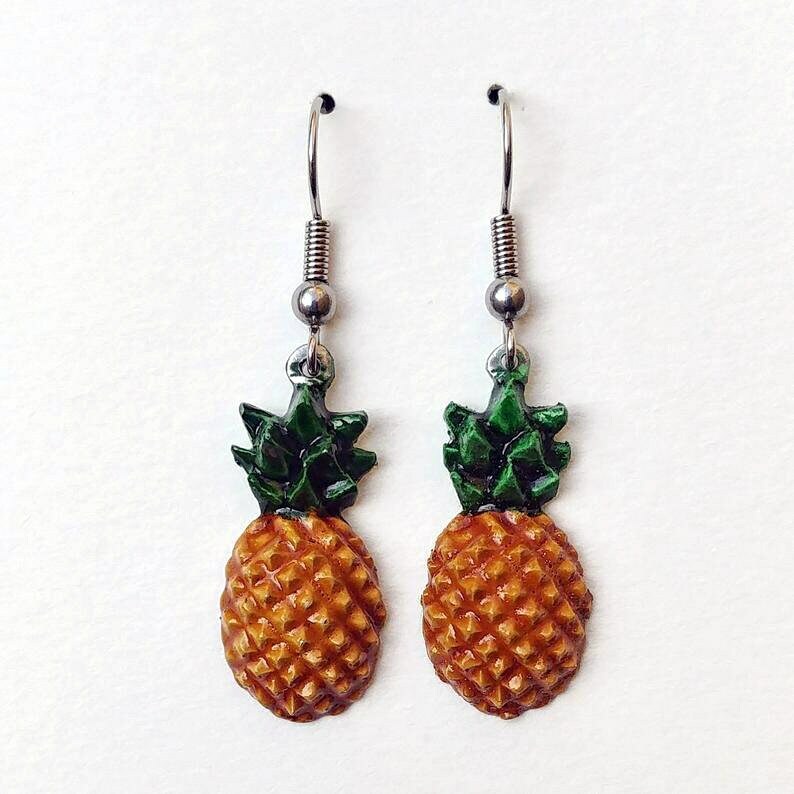 Fresh off of the workbench are these superduper retro pineapple drop earrings! Finished to a 'faux ceramic finish' , these solid pewter beauties will be the perfect accessory to your summer tiki outfit! All our jewellery is made from Fine English Pewter. All the designs are unique, only available from Subversive Constructs and limited editions, when they're gone, they're gone! The earring hoops are non-allergenic surgical steel.